Here at A&G Chem-Dry, serving Nottingham, we’re used to this type of call. Our team of expert technicians clean commercial carpeting in a variety of different types of premises, and at all hours, to ensure you have sparkling clean carpets ready for your VIP guests. 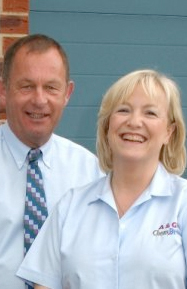 At A&G Chem-Dry in Nottingham all we do is clean carpets and soft furnishings. We’re not general cleaners who occasionally clean carpets, or worse subcontract carpet cleaning to a third party. All our work is done by our team of full time employees to the standards set down in the British Standards Institute PAS 86:2008 – Inspection, maintenance, cleaning and restoration of textiles and floor coverings Code of Practice. Make sure that any cleaner you approach knows of, and works to this standard.